Nankarrow GeoHive™ is made up of pine wood and cement composites. During the production of GeoHive™ wood wool panels, long, fine wood fibres are pressed with a mineral bonding agent into a light multifunctional panel. GeoHive™ wood wool panels combine all the good acoustic properties of pine wood. GeoHive™ can be screwed on GI or wooden frame work or even stuck to walls and has excellent noise absorption with NRC upto 1 as per ISO: 354-1985 and ASTM 423-90 standard. This board is essentially used in schools, offices, conference rooms, canteens, malls, airports, hotels, railway stations, and many more. They can be combined to create remarkable structural patterns that rejuvenate all kind of public spaces. 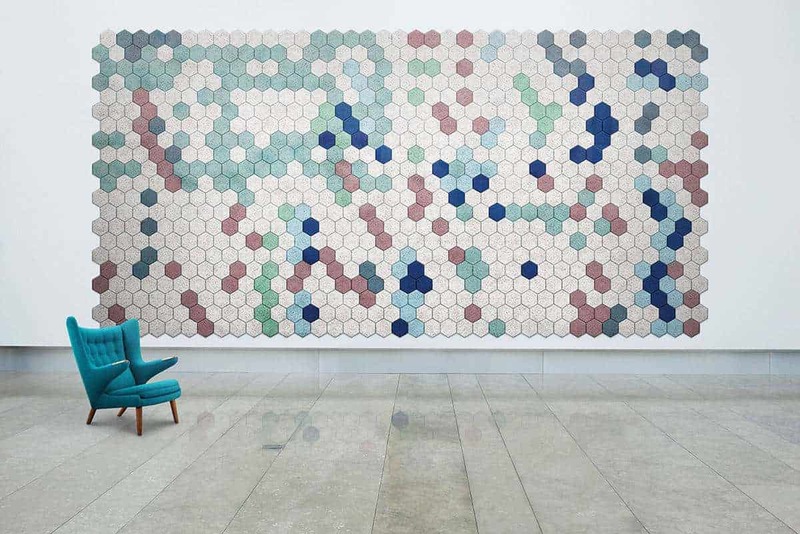 Designers and architects can personalize any installation with endless creative possibilities, since painting the panels has a negligible effect on acoustics, so GeoHive™ is fully paintable. GeoHive™ panel are fully paintable. GeoHive™ Wood wool slabs have good broadband sound absorption, which makes them suitable for all kinds of public gathering places, industries, etc. 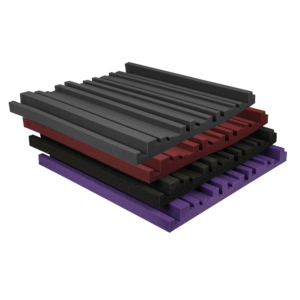 The 25mm thickness of the panels has been specially chosen for optimum acoustic-to-weight ratio and to improve sound absorption at lower bass frequencies. 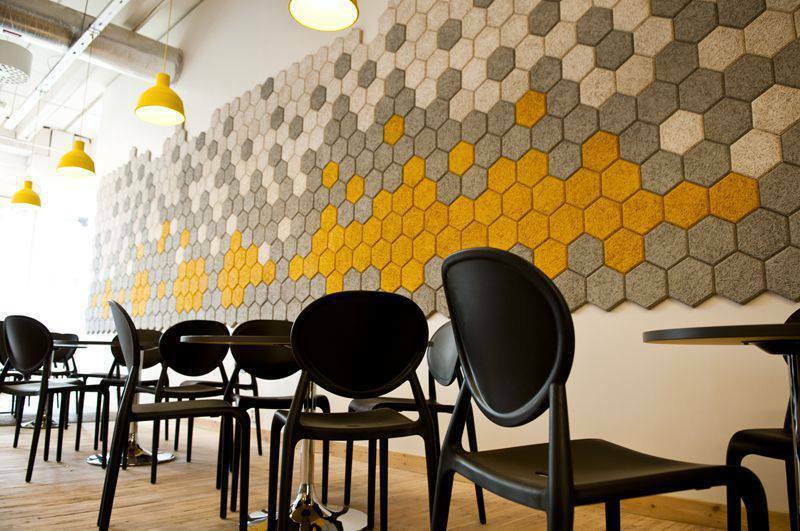 GeoHive™ acoustic wall panels are made from 100% natural materials; wood and cement. The combination of wood and cement creates GeoHive’s™ unique sound absorbing properties, ensuring good acoustics in any room. 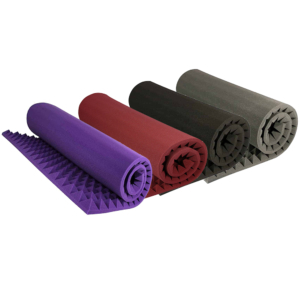 The material has a natural resilience and can handle moist environments, while also providing effective fire protection. GeoHive™ is a natural product with documented sustainability throughout its entire life cycle. 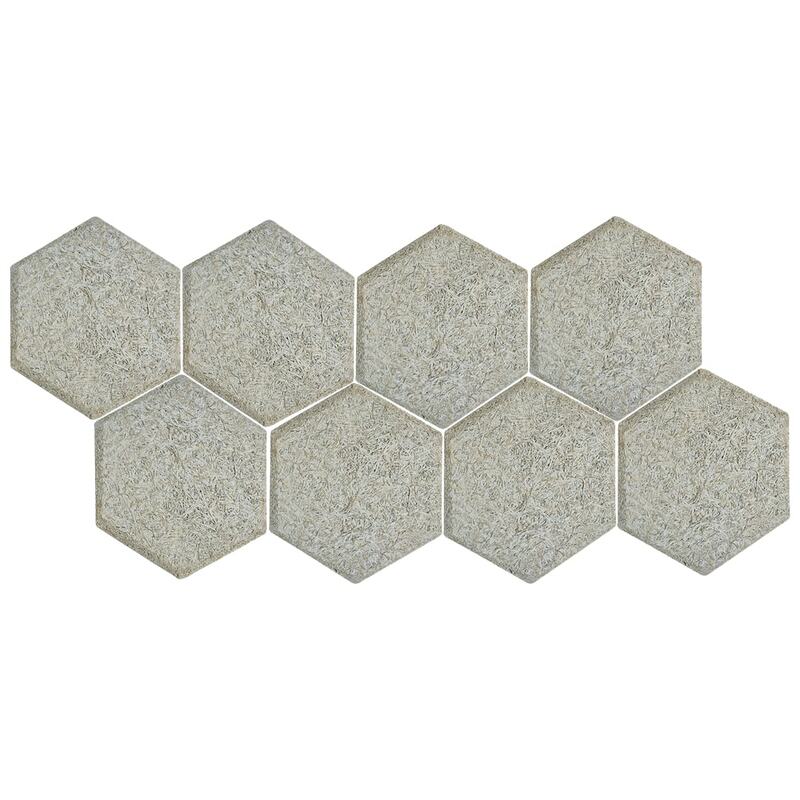 GeoHive™ is our designer acoustic panel, used in most types of high-end conference rooms and office complexes. In terms of reaction to fire, GeoHive™ has Class 1 Spread of Flame classification. 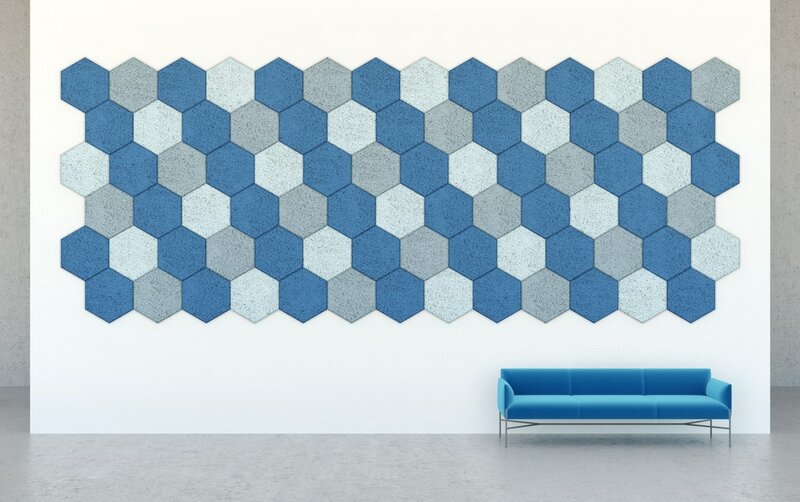 GeoHive™ acoustic panels can be installed directly onto a wall. The open material structure reduces reflection of sound and makes GeoHive™ Acoustic Wood Wool a good sound absorber. The material dampens noise and contributes to restful acoustics in residential buildings, industrial premises and public spaces. GeoHive™ Acoustic Wood Wool is an environment-friendly, recyclable material made from wood wool, cement and water. The natural components together provide many functional characteristics. The moisture-resistant material evens out air humidity by absorbing moisture from or emitting moisture to the ambient air. This contributes to a pleasant indoor climate which is good for both comfort and health. The high pH value also discourages mould and the material is not affected by rot. GeoHive™ Acoustic Wood Wool stores heat from the ambient air and emits it when the air temperature falls. This contributes to lower energy costs, reduced environmental impact and a stable and comfortable climate indoors. GeoHive™ Acoustic Wood Wool is fire resistant and is type-approved as protective cladding with a class 1 coating. Measurements show that emissions from GeoHive™ Acoustic Wood Wool are extremely low. The strong surface can cope with vacuum cleaning, and use of the product in restaurants and other sensitive environments show that the boards do not emit dust or particles. Used a set of these panels in my home theatre room. They dont just look good but also make the room sound much better now. I was surprised at the quality of these panels. They’re only 1″ thick, but they are uniform in appearance and they work great in changing the sound profile of a room (my desired use). They’re also inexpensive, which is a serious bonus.